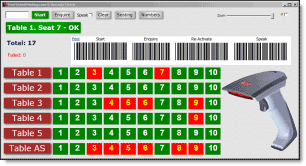 Click the Text button, or right click the Ticket to position and select Add Text. Click font selector dropdown twice, then with mouse pointer over top font in dropdown, roll your mouse-wheel to display the fonts and select the one you like. Click the Color Picker, or slide the Red, Green and Blue sliders to change the text color. Check the Italic or Bold checkbox for bold or Italic text. 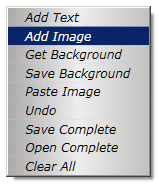 For multiline text, checking the Center checkbox will center the text on each line. To print the back side of tickets, uncheck 'Stub' to remove, and slide all 3 color sliders fully to the right, so the ticket number is white on white and not visible. 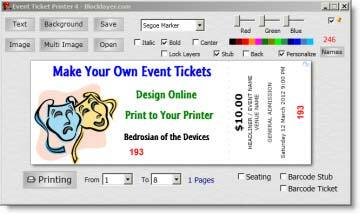 Create a second print file for the backs, and after the ticket fronts have been printed, reverse the pages and reprint using the second 'back' print file. Be sure to include all relevant Permit and Licensing requirements with the ticket text.